Montana rancher David Franklin Williams was an ambitious man, as well as a romantic. In 1905, the train he was traveling on made a whistle stop in Myrna, Nebraska. The name entranced Williams, and when his Chicago educated wife Adelle Mae gave him a daughter the same year, he gave her the name. In addition to ranching, David was a banker and real estate developer as would be the youngest man elected to the Montana legislature. When Adelle nearly died of pneumonia in 1912, he sent her to Jolla, La California to recover. Adelle fell in love with Southern California, and convinced David to invest in property there. However, the pull of ranch life was to strong, and the family returned to Montana. Soon afterwards Adelle again needed medical attention, and felt safer getting it in Los Angeles, so she moved with Myrna to Ocean Park where the young girl began dance lessons. After her mother's recovery and return to Helena, Myrna made her stage debut in a dance she choreographed based on The Blue Bird. The Spanish flu took David in 1918, and Adelle permanently relocated to Culver City. Mrya began appearing in stage productions while still in high school. In 1918 she left school to work at Grauman's Egyptian Movie House as a dancer between pictures. Rudolph Valentino spotted her in some promotional pictures for the Egyptian, and thought Myrna's exotic look would work in his projects. 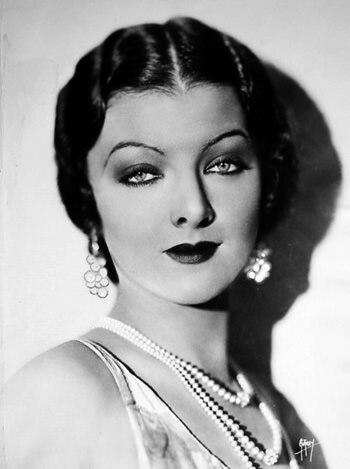 Myrna made a screen test, and while she didn't get the role, she did develop an interest in movie work. She changed her name to Myrna Loy in 1925 and won a seven year contract with Warner Brothers, who took advantage of her exotic appeal by casting her as vamps and exotic types. John Ford said of her at the time: "Wouldn't you know, the kid they pick to play tramps is the only good girl in Hollywood." Myrna easily made the transition to talkies, but Warner Brothers still let her go after the 1929 Wall Street Crash. She was still able to find work on a freelance basis. Her big break came in the 1934 gangster picture Manhattan Melodrama with Clark Gable and William Powell. The picture gained notoriety when John Dillinger was gunned down by the FBI after watching it in Chicago. Myrna's star really rose when director W.S. Van Dyke decided he wanted to cast her as Nora Charles in The Thin Man. Louis Mayer was against the casting, being convinced that Loy was a dramatic actress. Van Dyke settled the issue when he pushed Myrna into a swimming pool at a Hollywood party to test her reaction. Mayer allowed the picture as cast, as long as filming would be complete in three weeks so that Loy could begin work on her next picture. 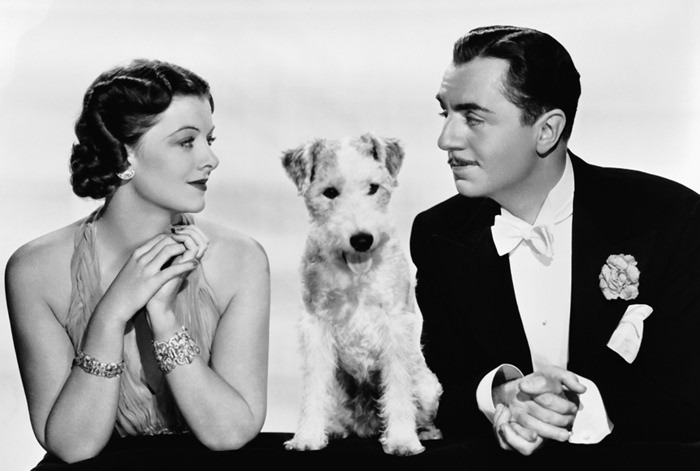 The Thin Man was one of the hottest films of 1934, and the chemistry between Myrna Loy and William Powell as Nick and Nora led to a series of five more Thin Man films and a total or 14 films together. During the Golden Age of Radio, many starlets turned to the airwaves to help make ends meet between pictures. 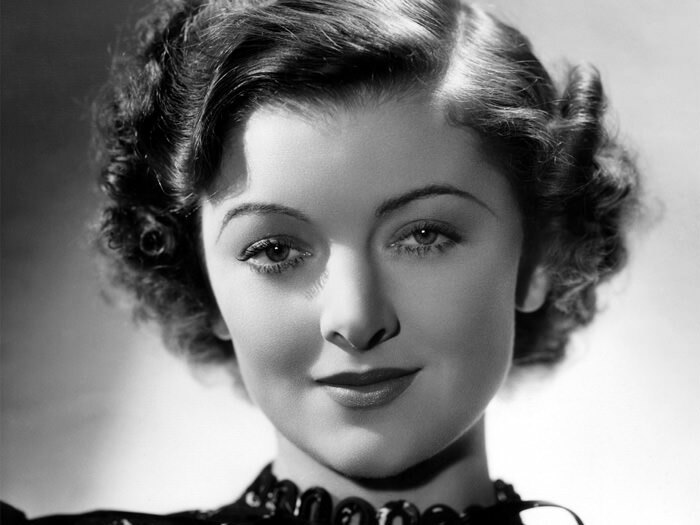 Myrna Loy, however, was no starlet, she was a full on Star, one of the busiest and highest paid in Hollywood. That didn't keep her off the radio, although most of her appearances were either in support of her films or adaptation of them. MGM used her a great deal on Leo is On the Air and the Maxwell House Good News series. In 1939, Myrna traveled to Europe with her first husband, Arthur Hornblow Jr. At every turn they saw signs of impending war. After returning to the States, Myrna essentially put her movie career on hold to support the Red Cross and other War effort related activities. She returned to films in 1945 for The Thin Man Goes Home. 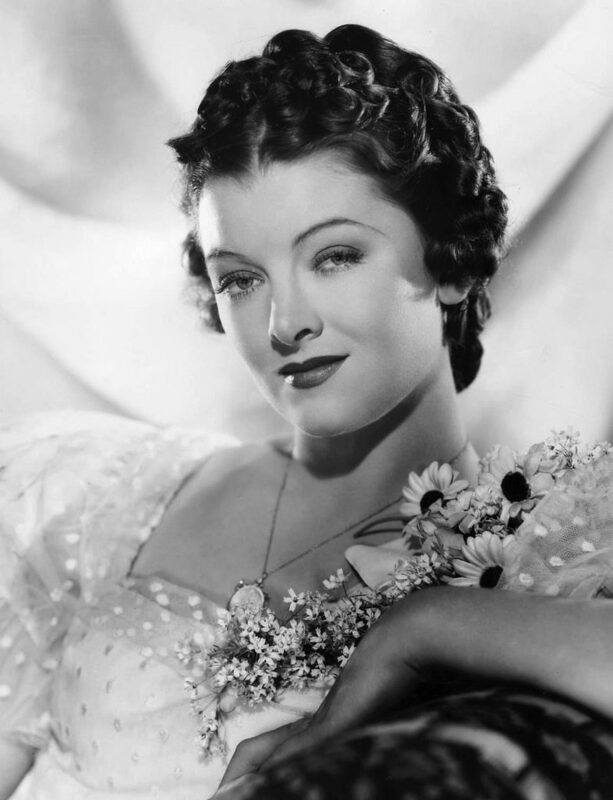 Radio adaptations of Myrna Loy's films on Lux Radio Theater, Silver Theaterand Screen Guild Theater include Manhattan Melodrama, The Thin Man, I Love You Again, Hired Wife, After the Thin Man, and several more. She did appear in a few radio plays, including "Angels on Horseback" on Cavalcade of America, the story of brave women bringing medical care to the hills of Kentucky, and in the Suspense story "Library Book". On "radio's outstanding theater of thrills", Myrna plays a librarian upset that a page has been torn from a copy of Gone With The Wind. She discovers that the page has been used to make a ransom note, only the police say there hasn't been a kidnapping reported. By the time the cops realize that a crime has been committed, the crooks already have Myrna in their clutches!